Jaguar's first all-electric, five-seater sports car is on the way. Behold the I-PACE, Jaguar’s electric concept SUV, set for production in 2018. The British carmaker is best known for its sports cars and luxury sedans, which makes the introduction of the I-PACE a surprising addition to its portfolio. The vehicle features a sensible five-door design with an exterior engineered to maximize electric efficiency, while still staying true to the sleek aesthetic for which Jaguar is known. 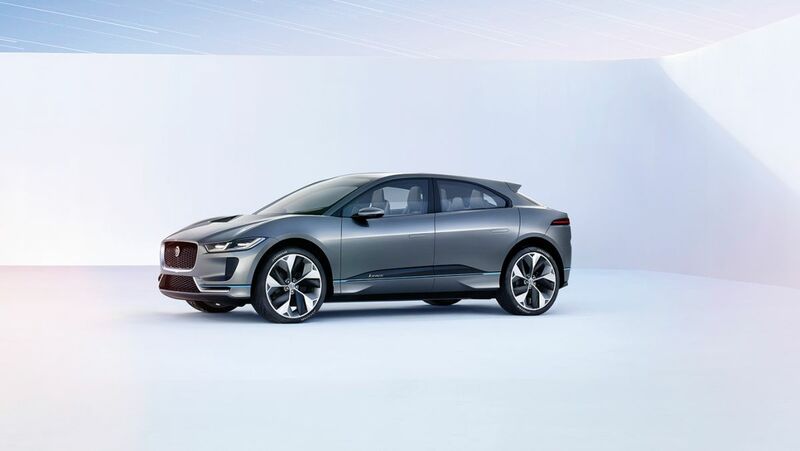 “The I-PACE Concept is, however, something altogether new: not a traditional sports car, saloon or SUV and absolutely not a traditional Jaguar,” Jaguar wrote in a press statement as published by Business Insider. Perhaps it’s what’s under the hood that makes this concept car something to look forward to, anyway. Jaguar claims that the I-PACE has a range of 220 miles, can go from zero to 60 in four seconds, can charge its battery to 80 percent in just 90 minutes, and can achieve a full charge in just two hours. Pretty impressive as far as electric cars go. Right now, because of its design and dimensions, comparisons to Tesla’s Model X are inevitable. But because the I-PACE is still in its concept stage, you can expect that there will likely be a lot of changes before it finally hits the market. There’s also no word yet on how much it will cost. If Jaguar does push through with its 2018 production estimate, the I-PACE would be the company’s first all-electric offering, giving drivers yet another option in the ever-growing EV market.